1. The BDS movement immorally imposes the entire blame for the continuing Israeli occupation and settlement policy on the Israelis. It refuses to acknowledge the historical reality that on at least three occasions, Israel offered to end the occupation and on all three occasions, the Palestinian leadership, supported by its people, refused to accept these offers. In 1967, I played a small role in drafting UN Security Council Resolution 242 that set out the formula for ending the occupation in exchange for recognition of Israel’s right to exist in peace. Israel accepted that Resolution, while the Palestinians, along with all the Arab nations, gathered in Khartoum and issued their three famous “nos:” No peace, no negotiation, no recognition. There were no efforts to boycott, sanction or divest from these Arab naysayers. In 2000-2001, Israel’s liberal Prime Minister Ehud Barak, along with American President Bill Clinton, offered the Palestinians statehood, and the end of the occupation. Yasser Arafat rejected this offer–a rejection that many Arab leaders considered a crime against the Palestinian people. In 2007, Israel’s Prime Minister Ehud Olmert offered the Palestinians an even better deal, an offer to which they failed to respond. There were no BDS threats against those who rejected Israel’s peace offers. Now there are ongoing peace negotiations in which both parties are making offers and imposing conditions. Under these circumstances, it is immoral to impose blame only on Israel and to direct a BDS movement only against the nation state of the Jewish people, that has thrice offered to end the occupation in exchange for peace. 2. The current BDS movement, especially in Europe and on some American university campuses, emboldens the Palestinians to reject compromise solutions to the conflict. Some within the Palestinian leadership have told me that the longer they hold out against making peace, the more powerful will be the BDS movement against Israel. Why not wait until the BDS strengthens their bargaining position so that they won’t have to compromise by giving up the right of return, by agreeing to a demilitarized state and by making other concessions that are necessary to peace but difficult for some Palestinians to accept? 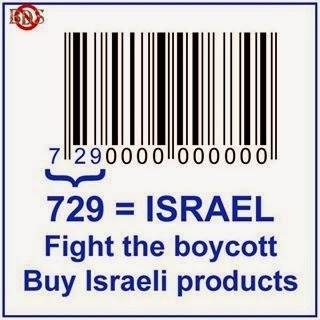 The BDS movement is making a peaceful resolution harder. 3. The BDS movement is immoral because its leaders will never be satisfied with the kind of two state solution that is acceptable to Israel. Many of its leaders do not believe in the concept of Israel as the nation state of the Jewish people. (The major leader of the BDS movement, Marwan Barghouti, has repeatedly expressed his opposition to Israel’s right to exist as the nation state of the Jewish people even within the 1967 borders.) At bottom, therefore, the leadership of the BDS movement is opposed not only to Israel’s occupation and settlement policy but to its very existence. 4. The BDS movement is immoral because it violates the core principle of human rights: namely, “the worst first.” Israel is among the freest and most democratic nations in the world. It is certainly the freest and most democratic nation in the Middle East. Its Arab citizens enjoy more rights than Arabs anywhere else in the world. They serve in the Knesset, in the Judiciary, in the Foreign Service, in the academy and in business. They are free to criticize Israel and to support its enemies. Israeli universities are hot beds of anti-Israel rhetoric, advocacy and even teaching. Israel has a superb record on women’s rights, gay rights, environmental rights and other rights that barely exist in most parts of the world. Moreover, Israel’s record of avoiding civilian casualties, while fighting enemies who hide their soldiers among civilians, is unparalleled in the world today. The situation on the West Bank is obviously different because of the occupation, but even the Arabs of Ramallah, Bethlehem and Tulkarim have more human and political rights than the vast majority of Arabs in the world today. Moreover, anyone–Jew, Muslim or Christian–dissatisfied with Israeli actions can express that dissatisfaction in the courts, and in the media, both at home and abroad. That freedom does not exist in any Arab country, nor in many non-Arab countries. Yet Israel is the only country in the world today being threatened with BDS. When a sanction is directed against only a state with one of the best records of human rights, and that nation happens to be the state of the Jewish people, the suspicion of bigotry must be considered. 6. The BDS movement is immoral because it would encourage Iran–the world’s leading facilitator of international terrorism–to unleash its surrogates, such as Hezbollah and Hamas, against Israel, in the expectation that if Israel were to respond to rocket attacks, the pressure for BDS against Israel would increase, as it did when Israel responded to thousands of rockets from Gaza in 2008-2009. 7. The BDS movement is immoral because it focuses the world’s attention away from far greater injustices, including genocide. By focusing disproportionately on Israel, the human rights community pays disproportionately less attention to the other occupations, such as those by China, Russia and Turkey, and to other humanitarian disasters such as that occurring in Syria. 8. 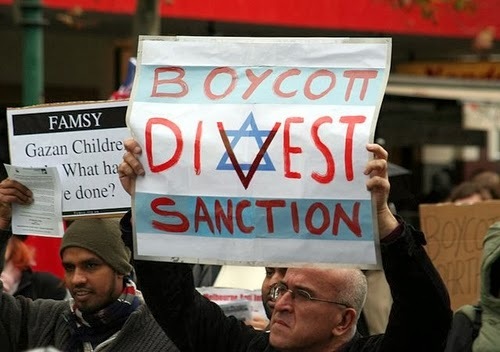 The BDS movement is immoral because it promotes false views regarding the nation state of the Jewish people, exaggerates its flaws and thereby promotes a new variation on the world’s oldest prejudice, namely anti-Semitism. It is not surprising therefore that the BDS movement is featured on neo-Nazi, Holocaust denial and other overtly anti-Semitic websites and is promoted by some of the world’s most notorious haters such as David Duke.